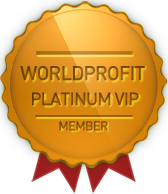 All Silver and Platinum VIP Members receive the Prospect Manager Software included in their Membership. - access data pertaining to each lead including last login date, their Associate details, number of webcasts attended and their contact details. - receive an emailed daily report of your prospects and follow up dates. - export your Member list to Excel, or to a Word document. From the left menu, select PROSPECT MANAGEMENT, the select PROSPECT MANAGER from the sub-menu. Your Prospect Manager also includes a Prospect Emailer. You can also locate this under the PROSPECT MANAGEMENT section. In your Prospect Manager you see the total number of prospects you have and can click on VIEW to see the details of each record. You will also notice that some names say TYPE and then are identified as ASSOCIATE. This means that the person is a free Worldprofit Associate member under you. If that person upgrades to a Silver or Platinum VIP Membership, you get credit for the sale and earn the commission. For other Prospects you see listed that the TYPE is left blank, this means they are a general prospect and not yet a free Worldprofit Associate Member. If you click on VIEW beside a Prospect's name, another mini menu appears in yellow. There you will find a Call Script you can use, and for those prospects who are not identified as Type: Associate, you can send them a link to sign up as a free Associate Member. The ALL ACTIONS link on the mini-menu allows you to send to the Prospect, a Design Quote Request (only if they expressed interest in website design), or you can send an Audio Message that you create. Or if you are Platinum VIP Member, you can also create a video message to send to the prospect. The Prospect Manager helps you organize your leads, keep track of sales notes and follow up dates. It also helps you know who your best prospects are based on log in dates, and webcasts attended. You do NOT have to call your prospects, but many of our Top Sellers do. Business relationships are based on trust, and the first step to building a relationship starts with a phone call. If you decide to call your prospects, for those who are already Associates, all you have to do is invite them to login. When they login they will be greeted by the Monitors, and made an offer to upgrade to Silver Membership. Let the system do the work for you. Your job is simply to get Associates and get them to login. We teach you exactly how to do this within the Lessons of this bootcamp training. For any Prospects you have that are not Associates, send them a sign up lin using the ALL ACTIONS tool OR if you want to promote your own opportunities, create a CUSTOM LETTER and use the PROSPECT EMAILER to send that out to your list of prospects. Be sure to enter follow up dates so you can keep track of when to follow up with the Prospect. If you enter a follow up date, and do not update it, when that date passes, it will show up in RED text to alert you that the contact follow up date has passed, To change this, just click on VIEW beside the Prospect's name, and update the follow up date you had entered. Who's Logged In. What's this about? We track for you when your Associates login and how many webcasts they view and break this down by day. You can also view all activity. This tracking allows you to know who your best prospects are, usually those who have logged in the most and / or attended more than one webcast. -See the Landing Page they signed up from. -Resend Login Instructions to your Associates so they can access their free Associate Member area. -View Browser Details: Specifically if the Associate is logging in with a MOBILE device or other. -See the last Login Date of your Associates. NOTE: This additional data will only be available for Associates who have signed up AFTER OCT 19. Why these enhancements are important and helpful to you. This information provides you with important intelligence on your advertising and promotion efforts and the activity of your Associates. It can help guide your next step(s) to take with your prospects. 1. You know which langing pages are yielding the best results in terms of number of Associate sign ups. 2. 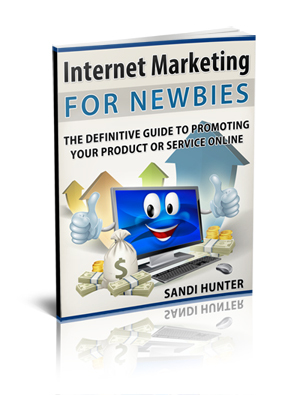 You know which of your Advertising sources are yielding the best results in terms of number of Associate sign ups. 3. You know which of your Associates are logging in with a MOBILE DEVICE and may or may not be able to see the Live Business Center. 4. You can resend login details to your Associates who may have misplaced this information. 5. You know which of your Associates have most recently logged in and thus are excellent prospects to contact. We have also added a CALL SCRIPT, that you can download for those of you who wish to call your Associates. Within that section you will find the call script to download, also a calendar. You can use the Prospect Emailer either the prewritten copy or customize for your own business opportunities. If you wish to buy leads, simply click on PURCHASE LEADS. You can also email to yourself a copy of your Prospect Manager Report. Please spend some time in this area clicking around. Your prospects are your bread and butter. It pays to be very familiar with the capabilities of your Prospect manager tool. Other Worldprofit Member resources useful in your promotions ( for ANYTHING YOU ARE SELLING not just Worldprofit services) are located in your Member area. You will also find help Lessons for each of these services or use the SEARCH window located on TOP RIGHT corner of your member area.